This beautiful and healthy hair post by using TRESemme hair products, is part of a sponsored (plus I received a free TRESemme product) campaign with the Global Influence Network…. I have long hair. I’ve had long hair since my early teens. I wish I had taken better care of my hair when I was younger. Hindsight is twenty-twenty. Right? I spent my teens and early to mid-twenties perming my hair. Yeah, I know, I’m dating myself. In my late twenties, I’d finally gotten over the perms. I wanted a change, though. Something drastic. Since cutting my hair was out of the question (I truly don’t think I would look good with short hair and my husband loves long hair), I decided to go from a brunette to a blond. Photo on the left was taken in 2005 when I went back to my natural hair color for a very short time, but I felt deep down I should be a blond. Photo on the right was taken this year, 2013. Maybe I just like to delude myself, but I truly believe I should have always been a blond (which I was until about 4-5 years old). As you can imagine, all the perming and coloring over the years has taken its toll on my hair. I sometimes wonder how I even have long hair, since it falls out like crazy. It’s dry and in hotter weather it’s so frizzy I want to scream. Ugh. Thank goodness for TRESemme hair products. I have been using the TRESemme Platinum Strength line recently and I can already tell a difference. 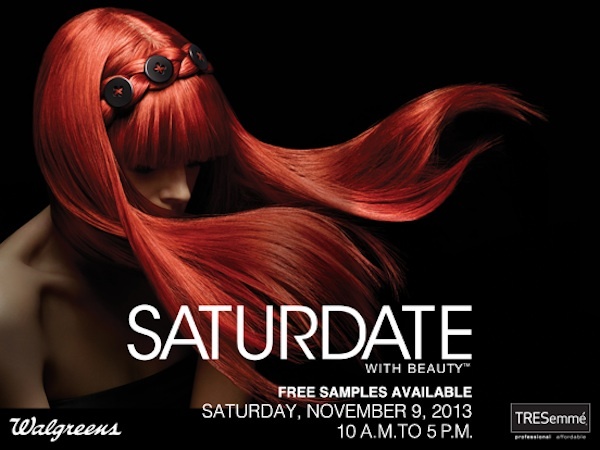 On Satuday, November 9th from 10am – 5pm you can get expert hair care advice during the TRESemmé Saturdate with Beauty at your local Walgreens! Trained Walgreens Beauty Advisors will be on hand for product trials and sample giveaways to help you get salon-quality products at an affordable price. While there, be sure to take advantage of these limited-time offers when you use your Walgreens Balance Rewards card. 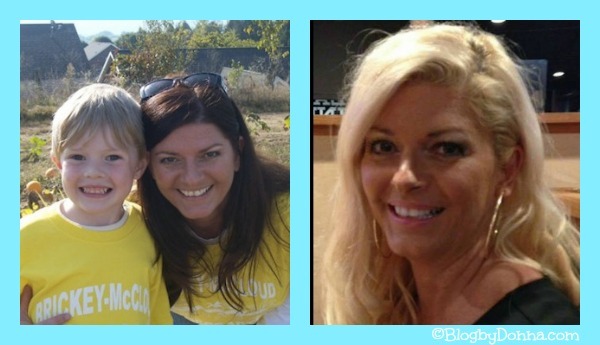 Also, be sure to join me for a TRESemme Twitter Party with @ResourcefulMom on 11/7 at 8 PM ET. 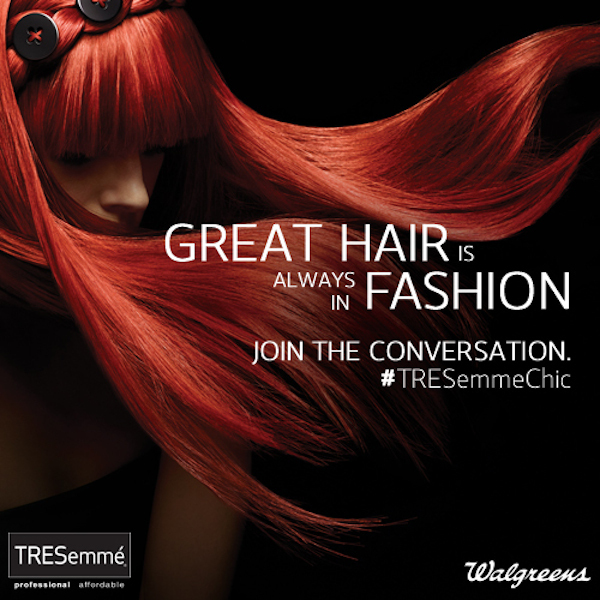 Just look and use this hashtag – #TRESemmeChic. So on Nov. 9 be sure to make it a Saturdate with TRESemmeWhich TRESemme hair product are you most interested in trying and why? I’ve always loved tresemme products, they work well. You look fabulous as a blonde too! I think you rock either look but constantly coloring/treating hair does take it’s toll. Which makes this Saturdate so important. We should be taking care of our hair in the most effective way possible! It definitely does take its toll, Ashley. I try to counteract the damage of overprocessing by not washing my hair every day and deep conditioning at least once a week. 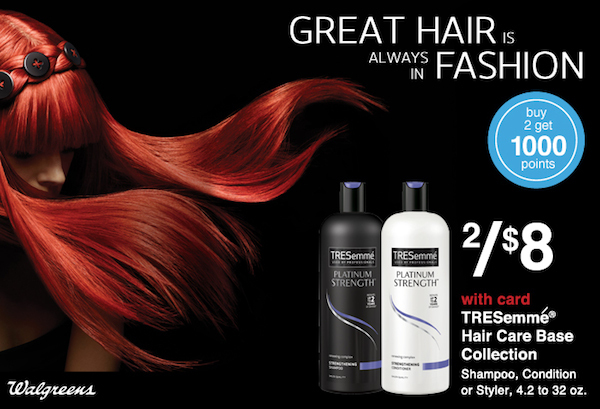 We get Tresemme because it works good, smells good, and comes in those great big bottles! I’ve never tried Tresemme before! Definitely the Keratin Smooth. My hair always feels so rough and frizzy. I’ve never used their shampoo/conditioner, but Tresemme has been my hairspray for years. We’re very close to a Walgreens. I’ll have to stop by! I might give this a go for the keratin in it, and for the record, you look really nice in either color! TresEmme is actually one of my favorites and I buy it often. I’ll have to print off this coupon and give it a try. Sounds like a great product. I have never tried Tresseme products but this post has inspired me to give them a try. You look great as a blonde. 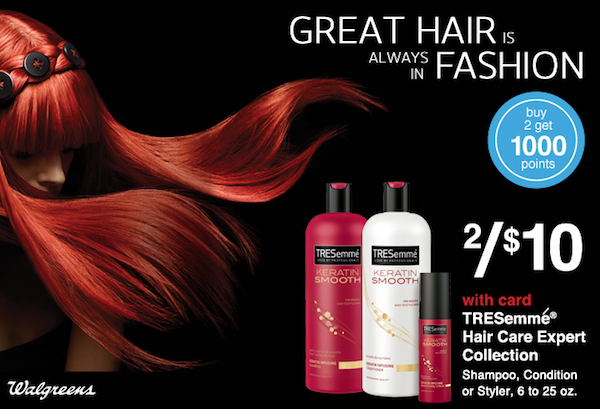 I love TresSemme products. I have used them for years. I started coloring my hair when I was 14 so I need to take care with good products. I have the Keratin treatment in my hair and LOVE this new Tresemme Keratin! I love the Keratin treatment! My hair since having my son is so…hay like… it is terrible. THe keratin treatment makes a huge difference and I love love the smell lol. I wanna try the Keratin treatments in my hair. Oh to have my fullness back again….many years of dying and neglect have damaged it. I am thinking I will try th eKeratin treatment. Tresemme is fantastic for my thick curls–I go through a lot of conditioner, so I love the big bottles! My hair could always use some type of TLC! It always seems to need some help with volume and I know it’s often dry as well. Tresemme products work so well. I’ve used them for some time. You look great. I use Tressemme and I love how it makes my hair feel. It repairs all the damage I have done to it. Hair color is my damage. There is a full line of their products that will address any hair issue. I love that. I have been using the Platinum Strength & since I just started using it I haven’t seen MUCH change but I have high hopes for it! I am going to try to make the Walgreens event to learn more. I have not used Tres Emme for years. I should try it out again, that is a great price! 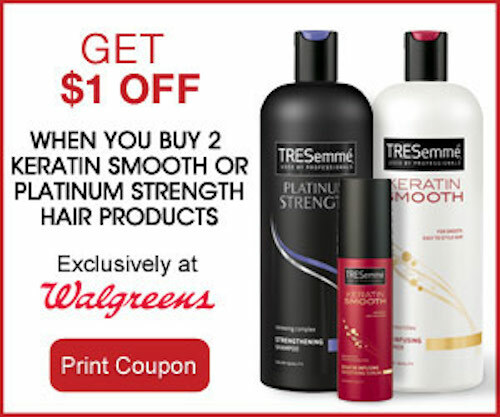 I love Tresemme shampoo and conditioner, thanks for sharing the coupon! I have the new Keratin Smooth shampoo and conditioner and it works wonders on my hair! I have super long hair and I wouldn’t have it any other way! I love tresemme. It’s a good product generously sized and affordable. Especially with coupons.